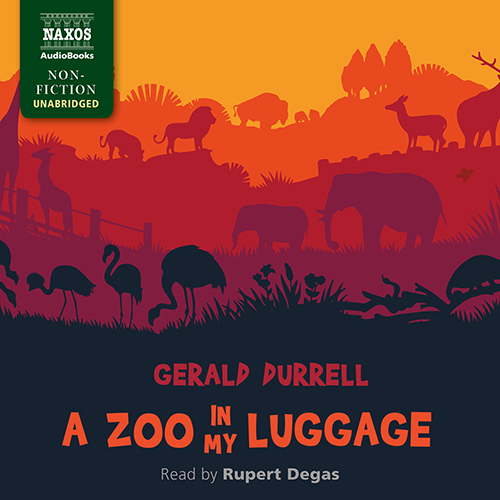 A Zoo in My LuggageÂ is the colourful, first-hand account of Gerald Durrell’s six-month animal-collecting trip in British Cameroon, and his attempts to create his own zoo. Motivated by a passion for wildlife, and a desire to save endangered species from extinction, Durrell assembles a glorious panoply of exotic animalsâ€”including a female baboon called Georgina, who later runs amok in a department store; a black-eared squirrel, who tries to bury nuts in his ear; and a gentlemanly chimpanzee named Chumly, who greets him with an outstretched hand. Aided by the Fon of Bafut, who houses the collection (and hosts many long and lively parties), Durrell amasses more than 250 animals. He struggles to find a home for the animals back in England, until a stroke of luck leads him to Jersey, and the eventual founding of Durrell Wildlife Park (now Jersey Zoo).